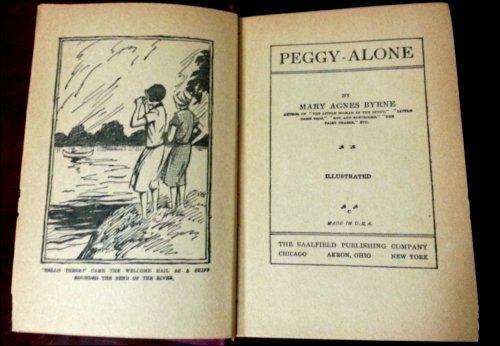 SYNOPSIS: Nostalgic fiction written for young readers of the 1920's. Format: Hardback, burgundy cloth covered boards with black foil lettering and artwork. 334 pages. 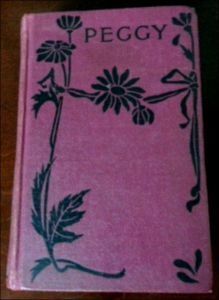 1927 edition. No dust jacket. Condition: Very good. Covers show moderate wear, binding split at both covers with binding mesh showing. 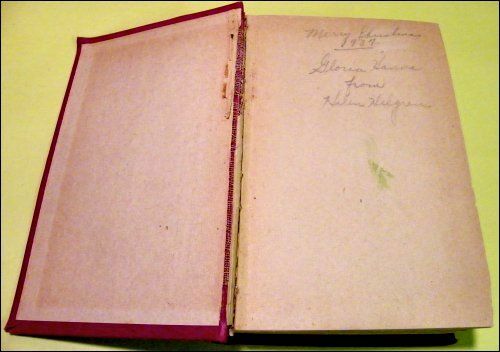 Owner's name written on Covers show the most signs of wear. Soiling, and fading of cloth covers. 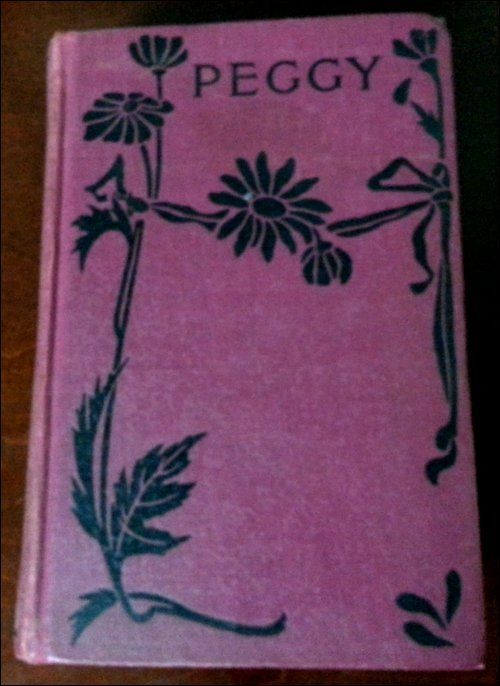 Inscribed as Christmas gift and dated 1937, in pencil. Pages very age-yellowed. No other problems noted, pictures show mentioned flaws. See Grading Scale page for explanation of grades. Photos of any obvious condition issues will be provided.